I’m currently writing this just shy of six weeks pregnant with our sixth pregnancy. Writing that this is our sixth pregnancy just caused me to pause and make sure that’s correct. I’ve been pregnant six times now, and I have to babies playing in the next room, three in heaven, and one whose fate is to be determined. I don’t write that to sound morbid, in fact I’m actually, in this current moment, really hopeful for this pregnancy but not without a hefty dose of caution and fear. It’s something I’ve been working on, the fear piece. But while the thoughts and emotions are fresh – in the waiting and wondering and praying that comes with the first trimester for anyone, but especially us mommas who know loss intimately – I wanted to write what it’s like to be a miscarriage momma pregnant (again), hoping (again), praying (again and again) and pleading with God that I don’t have to lose another baby. 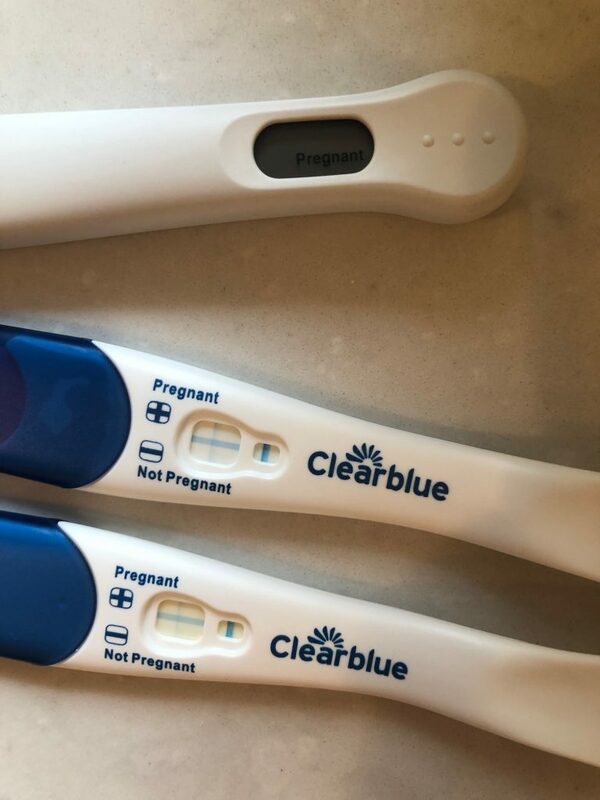 For us mommas who know loss, a positive pregnancy test is met with some degree of excitement but a lot of caution. It means that instead of surprising your husband with a fun announcement or telling him in a creative way, you text him in the middle of the day with a matter of fact, “We’re pregnant again.” Or, you pee on a stick and come out of the bathroom saying something like, “I guess we’re pregnant or something.” Shrugging off the temptation to get hopeful because you know what it feels like to experience loss. Sure, us miscarriage mommas think a bit about what a baby in August would look like, what it would be like to be majorly pregnant in the summer, jot down mental notes on baby names, toss a few names back and forth with their husbands now and again in that first trimester, but it’s all with the disclaimer of “if we have a baby in August” rather than “when we have a baby in August.” It kills me, because I want to be hopeful. I want to be excited. I want to savor ever single minute of what could very well be my last pregnancy if things work out the way we hope they do. But I’m also so weary from hurting and experiencing loss that my heart is wrapped in concrete where pregnancy is concerned. I’m willing to guess that a fair share of moms in this camp also own a home doppler, like I do, and are probably more skilled than their doctor at locating a heartbeat. I can’t tell you how many appointments I went to where I would watch my doctor try to find a heartbeat, holding back the urge to just offer to find it myself because, well, I knew exactly where baby was hiding. My fellow miscarriage mommas probably also subconsciously check the toilet paper for signs of blood or spotting every time they go to the bathroom. Who, as time progresses, fall into a minor panic every time it’s been a while since they last felt baby move. Mommas who pray for morning sickness and symptoms to ease their mind and get them to their next appointment. Who test progesterone levels every two weeks and take countless shots and drink herbal supplements that taste like a barnyard smells because maybe, just maybe, all of those things together will tip the scales in our favor this time around. Who go into ultrasound rooms expecting the worst while hoping for the best. Who remind themselves that if they get bad news, they will be OK because, you know, they’ve done this before. If my thoughts and words seem a bit of a jumbled mess, it’s probably a good indication of where my heart is at in this current season. Sitting (rather impatiently) in the in-between time, a time of what-ifs, hope, fear. All jumbled together. It’s hard to sort out those feelings and thoughts, difficult to form concise words with a clear direction. So instead of trying to make sense of it all, I’ll wait, and pray, and count down the next 72 hours until I walk into that ultrasound room. And even then? Even if we heart a heartbeat? I wish I could tell my fellow miscarriage mommas that it would get easier after that, but the truth is that it won’t. It will continue to be scary and hard, but that’s the cross you bear when you’ve lost a baby at any stage in the game. The other day my doctor told me that this could, if I allowed it to be, a time of refinement and an opportunity to deepen my faith. My husband has echoed those same sentiments during times when I’ve been particularly worried. 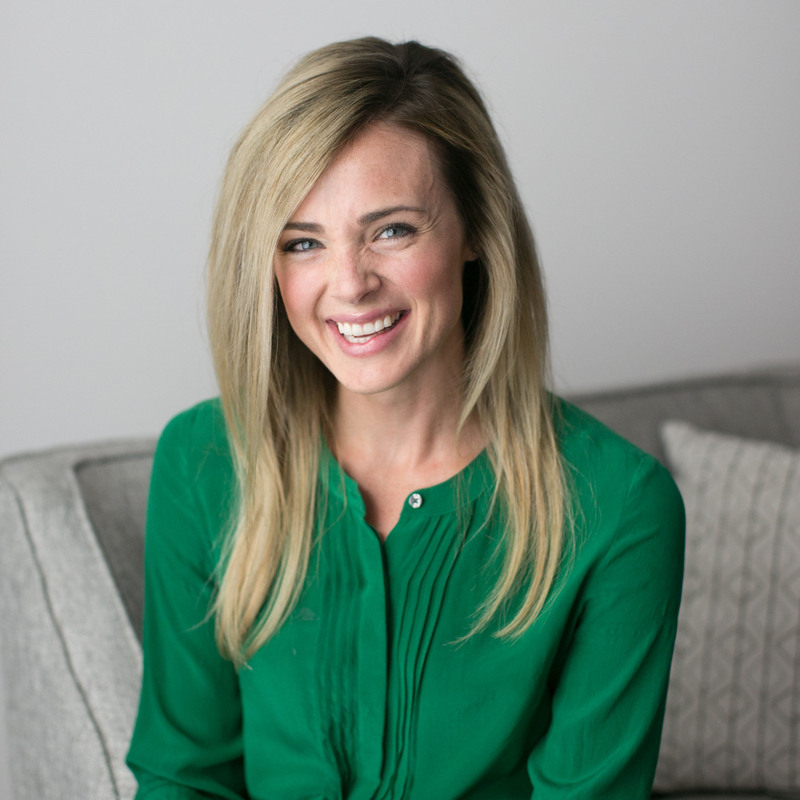 I can’t say I think either my doctor or husband quite understand what it’s like to be on my side of this experience, but I have to say that I agree God can work in big ways during times when we feel so incredibly week and prone to big fears. Lord, may you be glorified in my worry. May your power be made complete in my complete weakness. May you protect this baby. And even if you don’t, may your will be done. Friends! 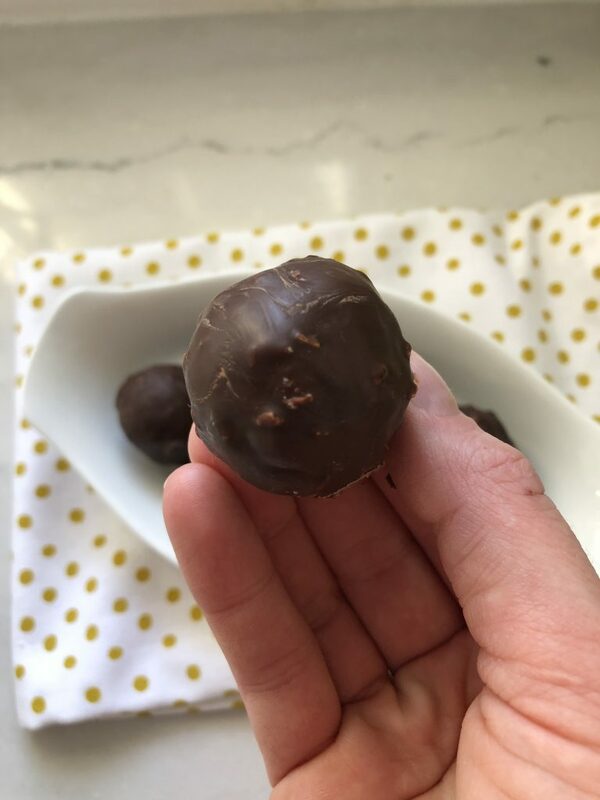 Do you ever find yourself craving something sweet at the end of the day but aren’t quite sure what you want/you want something sweet that won’t totally derail your healthy eating efforts? I hope it’s not just me who suffers from this issue. Actually, over time and years of healthy eating, most nights I don’t want something super sugary or indulgent because my body prefers lower-sugar sweet “treats” now that I consume less sugar day-to-day. Usually I reach for regular old dark chocolate, but lately I’ve been craving something different. So what’s a girl to do? Create her own treat, of course! 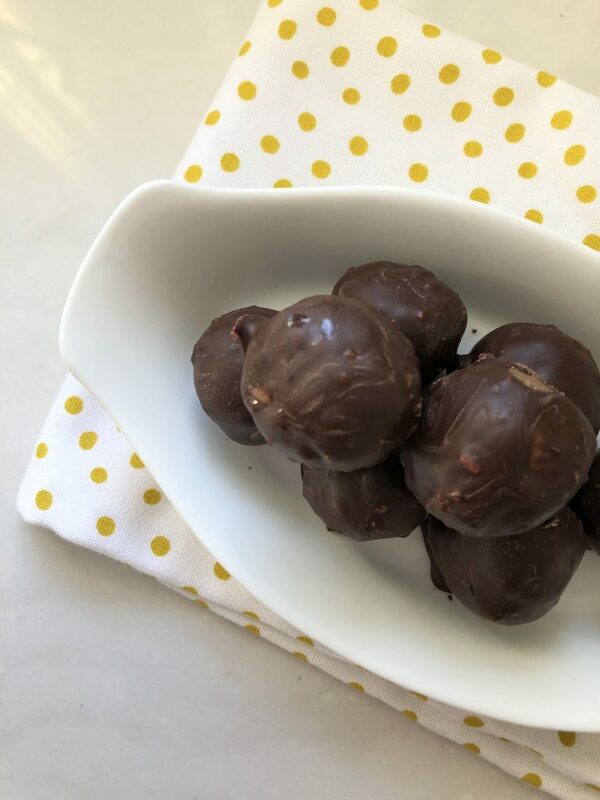 I mixed a batch of these up over the weekend, and then another batch because I felt they could be just a bit better if they were covered in chocolate, of course, rather than having the chocolate chopped up an mixed into the truffles. The result was delicious, healthy and satisfying! Place oats in a high-powered blender and process until a fine flour forms with no clumps remaining. Transfer oat flour to a bowl. Add peanut butter, chocolate protein powder and honey to the bowl. Use a spatula, or better yet your hands, to evenly combine the mixture into a dough. Shape dough into 14 balls. Melt chocolate in a bowl in the microwave in 15 second intervals, stirring until smooth. Drop truffles, one at a time, into the chocolate, turning to coat. transfer to a baking sheet lined with parchment paper and refrigerate 30 minutes or until chocolate is set. Store in the refrigerator until ready to eat. BUY THESE JEANS! Oh my gosh, these are the maternity jeans of my dreams. They fit true to size, and are incredibly comfortable. Not in the “feel like leggings” way that some jeans feel, which I actually don’t like because those same jeans usually stretch out, but in the sense that they have both stretch and structure. I was skeptical of the side panels but what makes these so great is, in my opinion, that they are high rise so even with a side panel vs. over the belly they still feel like they support and cover me in the right areas. 😉 Plus, I think I underestimated how much I would love having a real zipper and button on maternity jeans. These are pricey but SO so worth it. I’ve worn them three times now and they aren’t stretched out at all. I kept this pair because they were so reasonably priced and seemed to be the type of jeans that would wear well and not stretch out too much with multiple wears. I haven’t worn them out and about yet, so I can’t personally vouch for their long term wear, but I like the fit and comfort thus far! I really LOVE the way these feel and have worn thus far. True to Madewell denim, they have the perfect mix of stretch and structure to the denim and the over the belly panel is very comfortable. I kept this pair, though as a taller gal, I was so disappointed they don’t carry talls in their maternity jeans. Can you believe that price? These were the most expensive jeans in the bunch and honestly, some of my least favorites. They said on the website that these jeans run small and suggest sizing up one or even two sizes. I sized up one size but should have sized up two, I guess, because they still felt small. Other complaints? They were low rise (again) and honestly there wasn’t anything special about the jeans for the price. This was another brand and style that was recommended by many on Instagram, but I honestly couldn’t have disliked them more. The fit strange in the crotch, and I could tell that they would be the type of jeans that wore poorly and had to be washed after each wear. 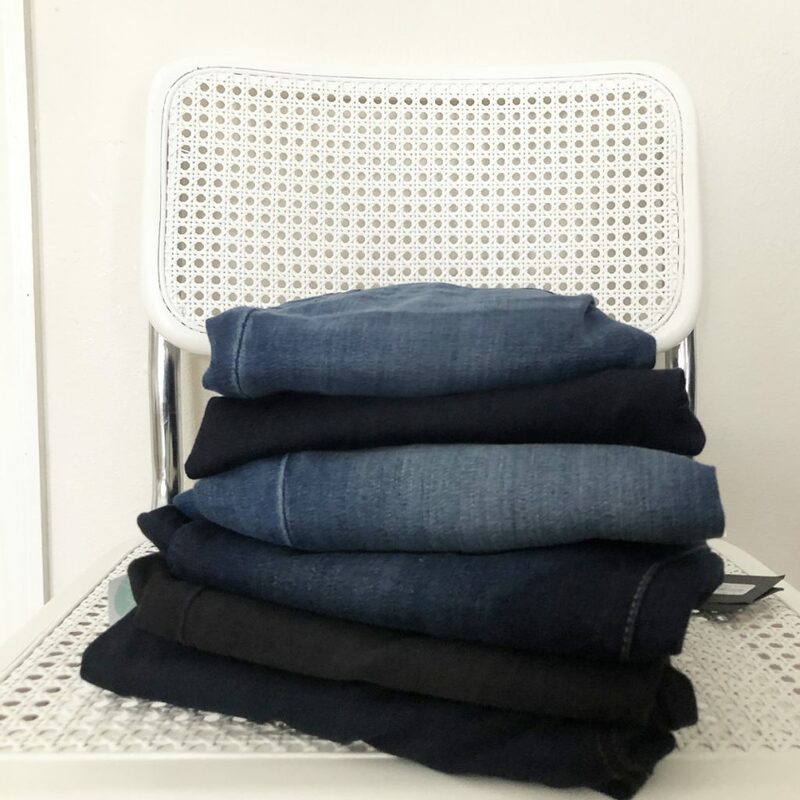 Overall, I wish I had discovered that Stitch Fix now has so many amazing maternity jeans to choose from. The box I got was awesome! I just requested that I only get maternity jeans in my fix and told my stylist a bit about what I was looking for and price point and she delivered with some great options. I haven’t used Stitch Fix in years, but this was so worth it! If you want to get a fix, you can use this referral code! This was a brand I hadn’t heard of before and I was really impressed! The jeans are a bit “stiffer” but have just a bit of stretch, and I liked the lighter wash and over the panel fit. These were comfortable when I slipped them on, but they were the type that I could tell would bag out and need to be washed after every wear – which is my biggest complaint with maternity jeans in general and a deal breaker for me. So so many people recommended Paige maternity jeans but I have to say I was NOT a fan of these jeans – especially for the price. The rise was fairly low on these jeans, and in the short time I was wearing them I could tell I would constantly be pulling them up if I kept them. Additionally, I heard from some people that they found Paige jeans didn’t hold their shape well. I really liked these jeans! They were soft and stretchy yet fit snug enough that I felt they would wear well over time and multiple wears. I also really liked the darker wash for something different and the price point was great! No. Just no. Whoever thought that designing ridiculously low rise side panel maternity jeans was sorely mistaken. It does no favors for the booty or the pregnancy love handles. 😉 These were a hard PASS. They also run really large. Even sized down a size they were crazy baggy. You all already know this, but I’m a makeup minimalist at heart. 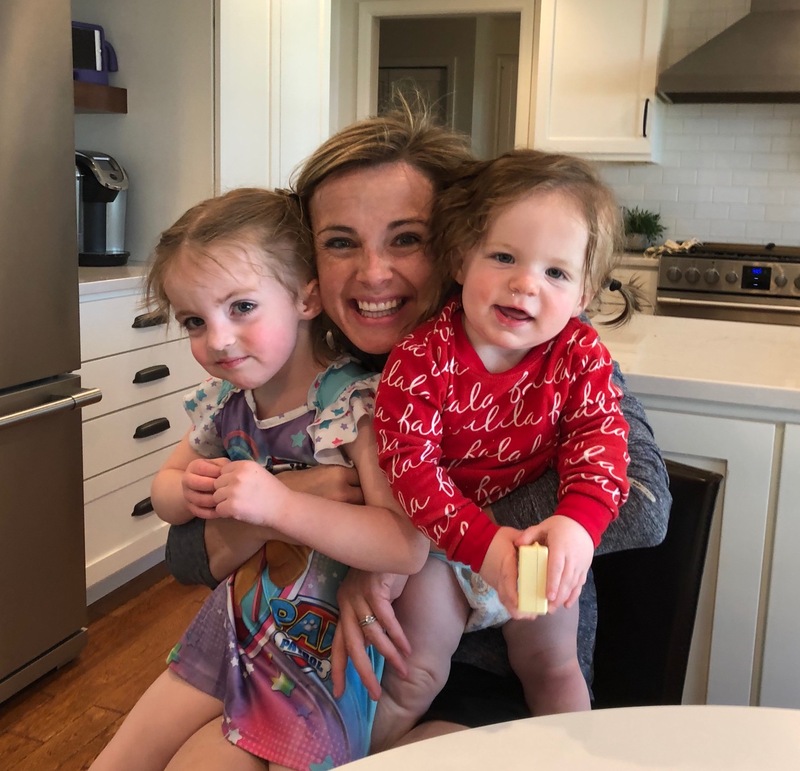 As a work at home momma, I hardly go anywhere beyond the coffee shop, my home office and play dates with friends, errands with the girls and the occasional trip to Target. All that said, I don’t really have a huge need for a lot of makeup on a daily basis, but I DO like to look and feel put-together even if I’m just lounging around the house and mom-ing. 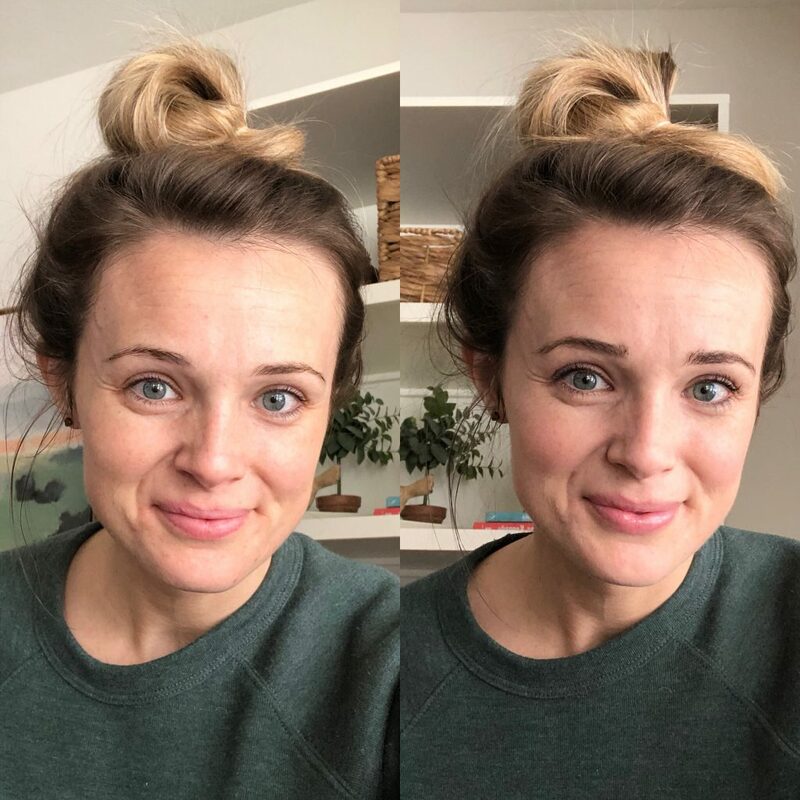 There’s something about putting myself together for the day (which includes getting dressed in real clothes, applying makeup, and at least putting my hair in a bun) that makes me a better mom – more likely to get out and do fun activities with the girls and welcome drop-in guests and last minute invites to do things during the day. So, my makeup routine! It’s simple, quick and easy to achieve thanks to my beloved Flawless in Five. 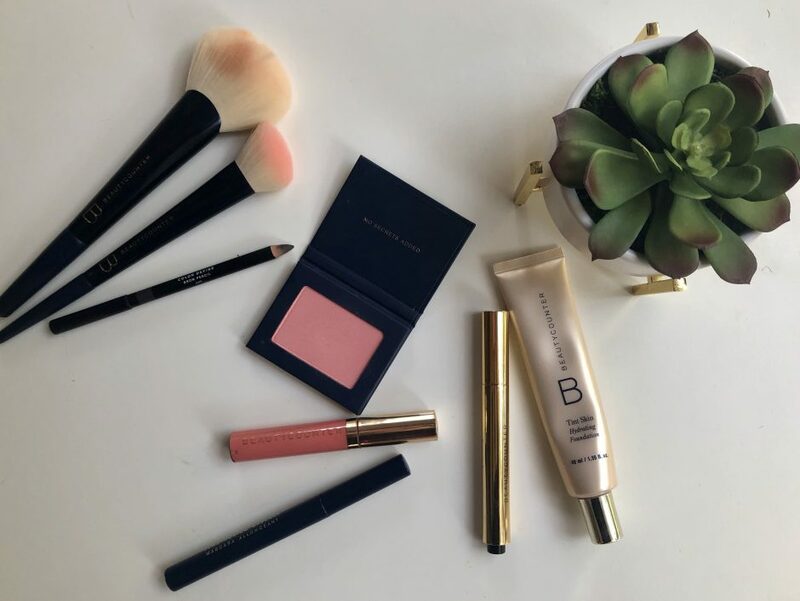 I’ve always used the Flawless in Five to some degree – but I’ve recently fallen in love with it all over again and been wearing some version of it on the regular. Want to see the entire application process in action? Head on over to Espresso & Cream Beauty where I demo my current favorites and how quickly the routine above can be done! PS: Curious about getting your hands on your own minimalist makeup routine? You can do so HERE. This is the first year that Ainsley has been in any type of formal school (she is in 3-year-old preschool this year) and as my kids have gotten into more and more activities I’ve realized how my mindset around holidays has shifted as well. While Valentine’s Day in my 20’s was all about romantic love, boyfriends, eventually my husband and things we did as a couple, the last couple years there has been a definite shift toward class parties, Valentine’s Day card exchanges, teacher gifts and more. Don’t get me wrong, I still make plenty of time to show Joe that he matters most to me, but the focus on what I’m getting out of Valentine’s Day has become less and less important. Since I’m never really the “do things in advance” type mom (and I’ve come to accept this about myself and my life stage) I’m usually doing a craft with Ainsley at the last minute to get ready for “Love Day” as Ainsley likes to call it. Decorating cookies is a favorite activity in our house, no matter the time of year, so I decided to take Ainsley’s favorite thing to do and put a fun Valentine’s Day spin on decorated sugar cookies! 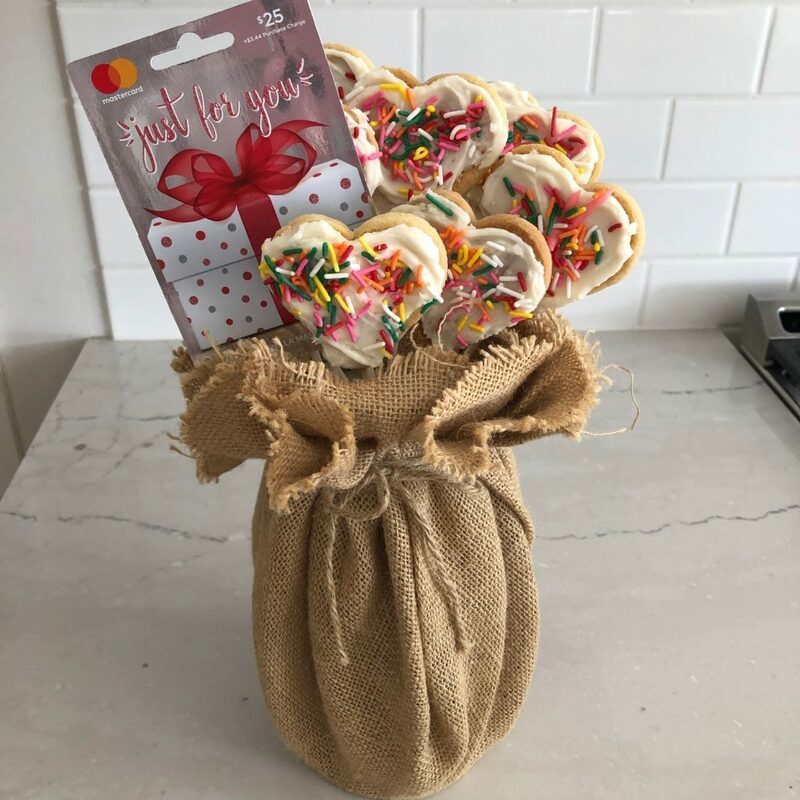 We made a DYI cookie bouquet with heart-shaped cookies, put the cookies in a decorative vase, and paired it with a Vanilla Gift Card from Walmart for a little extra something special. This would be a perfect gift for kid’s teachers, family members, Sunday school teachers and more. I mean, who doesn’t love cookies and gift cards? I bought a wire vase pre-wrapped with burlap at our local craft store and put a florist’s block (the green foam) inside. Then I stuck each cookie into the foam and taped the gift card onto one of the craft sticks and inserted it into the foam as well. It was SO easy! Cream butter in a large mixing bowl; add sugar, beating until light and fluffy. Add egg and vanilla, mixing well. Divide dough into thirds; roll each portion to 1/4-inch thick on lightly floured surface. Cut with heart-shaped cutters and place 2-inches apart on baking sheet. Firmly press a paper craft stick into each cookie. Bake at 350°F for 8 to 10 minutes or until golden brown around the edges. Cool on baking sheets 10 minutes. Cool completely on wire racks.